I grew up in the car business. However, my understanding of the business was washing cars and picking up trash. I wanted nothing to do with it. Therefore, I went to Texas A&M to get an Engineering degree. In the summer after my Junior year, I worked as an intern for a car dealer consulting company. What I saw during that summer was an industry filled with people who were making really good money despite the fact that they were horrible business people. It was then I decided that if these people were my competition, then THIS was the business for me. I did very well in school. I graduated from the College of Engineering with Honors. I had a great GPA. I could have gotten one of the more coveted jobs. However, I had already made the decision that I was going to go sell cars to learn the business. The year I graduated, the top job offer I ever heard of was $40,000 per year. This was a TON of money at the time. And in my first MONTH as a car salesman, I made $11,400. I was rich! It was at this moment that I decided I would come back to hire TAMU grads just like myself to give them the same opportunity. I sold cars. I eventually became a Used Car Sales Manager. Then, I went on to buy into my father’s dealership and become the General Sales Manager. In March of 2002, I purchased my own dealership. Since then, I have purchased a total of 8 dealerships around the State of Texas. We have grown very quickly. This is not because of me, but because of the incredible people who I have surrounded myself with. They too have grown quickly. I hired Aggies in 1995, one of whom worked his way up through the organization to be a partner in a dealership, and run a store by himself. I hired Aggies in 1996, one of whom worked his way up through the organization to be the leader and director of our Advertising Agency. I hired Aggies in 1998, one of whom is the most respected sales people in the business. And it goes on and on. I have been very successful hiring Aggie grads. I fully realize no one goes to college with aspirations of getting into the car business. However, I believe that is because most people do not realize the opportunity available to them in the car business. It is very safe to say that most Aggies made $50,000+ in their first year. In fact, many have made $80,000+. I can also say that several were making $180,000+ within their first 5 years. This is not something you will find in big corporate America. Yes the hours are long, but they are way less than the tremendous hours my friends put in at the accounting firms or consulting companies, and they were all on salary. I believe this opportunity is the best available. This business is competitive, but that is what I love about it. This business is fun. We are a young and vibrant organization full of young and vibrant people. If you think it is a fit for you, I hope that you will give us the opportunity to get to know you better and that you will get to know us better. Go to college to sell cars? Hhmmm, really? This was the main question I had December of 1999. Soon to be 11 years later, I am glad I made that choice to sell cars. Hello, my name is Jorge Lopez and I am a sales consultant at Tomball Ford. I graduated from Texas A&M with a business degree back in 1999. When I was first hired to show off Ford vehicles, I was promised a guaranteed salary for 1 year. I was, at that point, very unsure about taking a sales position but the available opportunity to earn as much as my efforts; motivated me. I have had full control of my earning and have been blessed to live comfortably. At point of hire, I thought to myself that I could use that time to take it slow and find a job in the business field of my choice. Well, after the first year and doubling my guaranteed salary, I knew that talking to people and helping them make one the biggest decisions in their life, was for me. I love the interaction I have with customers and enjoy showing off my product. Family transition for me was very easy. Everybody understood that it was a respectable job and a great way to make money. Yes, a GREAT way to make money! The opportunity to live debt free can be with out a doubt attained. Opportunities to advance within this company will always be a priority for Aggies and you can count on full support from everyone here. 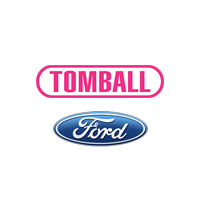 In conclusion, I want to say that I have been happy up to this point to work for Tomball Ford and have had 11 great years under my belt. I have enjoyed every bit of it. I help people acquire a vehicle and get compensated well for it. It’s that simple! If you like great opportunities, working with motivating team members and making money; then this is for you! The next 5 ½ years have been a blur. I am now the General Sales Manager for three stores in Port Lavaca, Tx. Selling a car is my favorite thing to do. I am a sports guy, competitive, and a family man?and the people I work with are like me. I have always been a “people person”, but I had never been able to capitalize on my skill set to make money. I built quick relationships with people, I became their friend in the car business, and I got paid! Everything we do is so tangible, including the immediate gratification of completing a sale within 3-4 hours and making $1000. The hours are long, your weekend plans will look way different, but the return on your investment of time and effort will crush any of your fellow graduates.